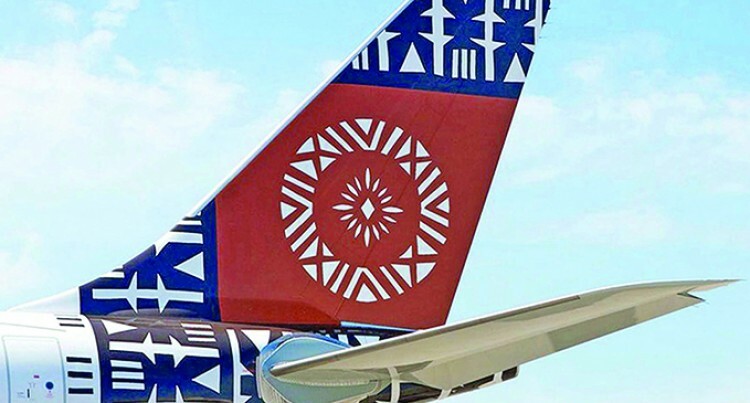 Due to impending adverse weather conditions associated with Tropical Cyclone Mona, the following Fiji Airways and Fiji Link flights for Sunday January 6 have been delayed or cancelled in the interest of safety. If your flight is listed below, Fiji Airways and Fiji Link Reservations will contact you by email, SMS, or phone call (on the provided contact details in your booking) to advise you of the changes. You may call Fiji Airways Reservations Centre if you have not been contacted. Affected customers will be booked on the next available service which will be confirmed (if not listed below already) once weather conditions improve. All other flights not listed below are expected to operate as scheduled, however, please note that this evolving weather situation could affect more flights. 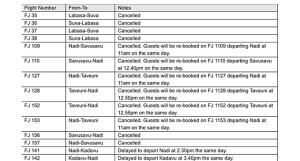 Up-to-date flight schedules can be found on the Flight Status tab on our home page www.fijiairways.com or on the Fiji Airways Travel App. Please expect extended waiting times due to increased call volumes during this period. Calling from Fiji: +679 672 0888 or +679 330 4388.